I love taking baths and when we moved into our house I was excited to see that the master bath included a giant soaking tub. One of the best things about taking baths is having an excuse to use the wonderful smelling bath products. 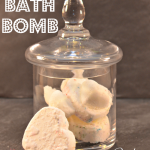 Do you know somebody who loves soaking in the tub? 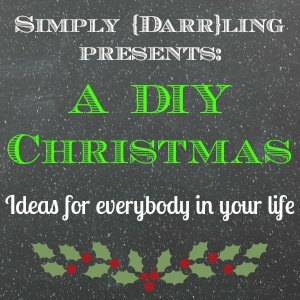 I’m continuing the DIY Christmas series with a tutorial on making your own bath salts. 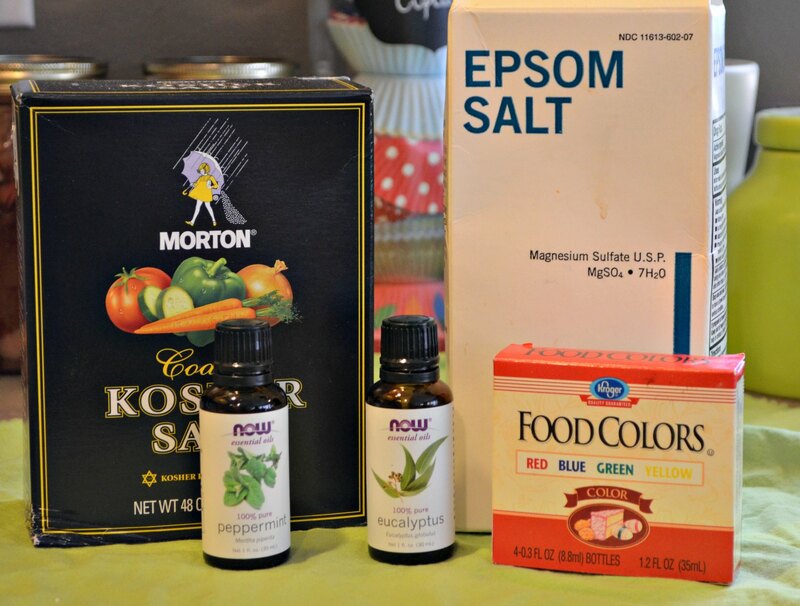 The needed ingredients for this are cheap and easy (and not in a bad way): Epsom Salt, Kosher Salt, Essential Oils and Food Coloring (optional). 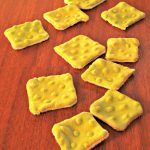 My cousin recently posted recipes for natural food coloring, make sure you check that out if you would like a more natural solution. 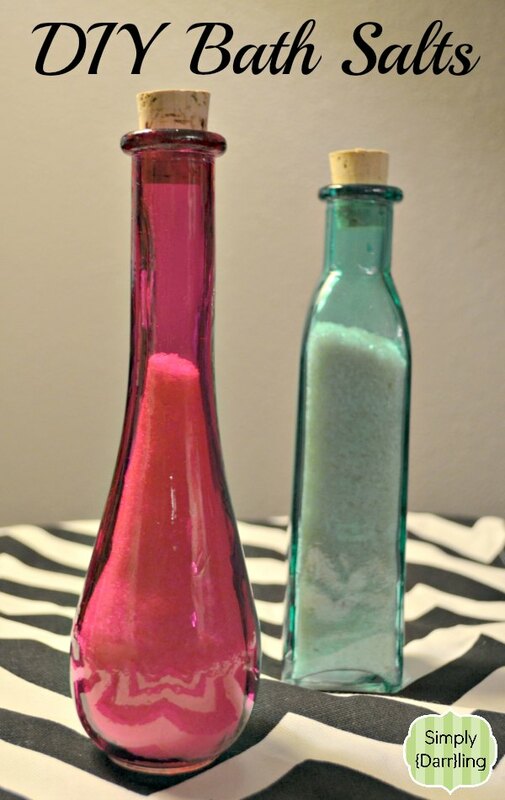 I currently have peppermint, lavender and eucalyptus oil so I used those to make my bath salts. The directions are simple and something that a kid could do as well. In a gallon bag, add salt in a 2:1 ratio of Epsom:Kosher and a couple drops of food coloring. 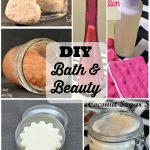 I used 2 cups Epsom and 1 cup Kosher for each of the scents that I made. Shake, Shake, Shake to mix the coloring into the salt. Repeat with the essential oil. It does not take much coloring nor oil to coat the salt. Once the color and scent has been mixed in, simply pour into jars. 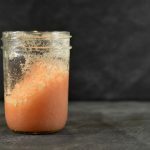 Excess can be stored in mason jars. Part of the fun of this gift is using cute jars. I found mine at Michaels but there are a lot at Amazon or even possibly the dollar store. I like the ones on Amazon that have cute little spoons with them. I received a couple requests last week for gift ideas. I am still working on those and taking more requests.